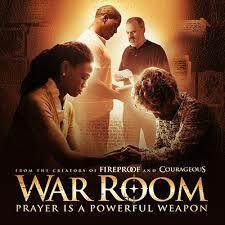 Alex and Stephen Kendrick’s latest movie on faith, War Room, is now showing at Cinemas in Nigeria. From the makers of the successful movies Facing the Giants (2006) Fireproof (2008) and Courageous (2011), this 2-hour classic is tailored to reach out to Christian couples in troubled marriages and to show them how to save and restore their relationships. War Room is a story about a couple who have been married for 16 years, with an 8 year old daughter but are experiencing serious communication and relationship issues. Tony Jordan, the husband, played by T.C. Stallings, has been distant and impassive to his wife and daughter and quite uninvolved at home with basic responsibilities. His wife Elizabeth, played by Priscilla C. Shirer, is a successful and beautiful woman into real estate who is quite affected by the deteriorating relationship with her husband. She soon meets Miss Clara (Karen Abercrombie), an elderly intrusive woman who introduces her to the effectual power of prayer and the Lord, and urges her to shift her focus away from her husband’s failings. Instead, Elizabeth is encouraged to spend time in a War Room where she can sit, meditate on God’s word and inspirational messages and pray. She later takes the advice, which soon results in a positive change in her marriage, emotionally, spiritually, in their conversations and relationship. While the movie seems to have been a hit in the Christian community, critics have disapproved of the poor plot and predictability of the production. It seems to be popular opinion that the directors focused more on an evangelical agenda than the richness of the plot. Nevertheless, the movie was a big hit in the box office, bringing a Box-office total of $67.7M as at November 29, 2015. 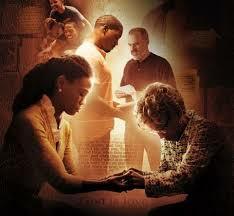 In my opinion, whatever failings it may have in the plot, the movie reminds us of what is important: PRAYER. No matter what situation we find ourselves, within or outside marriage, where we are on the receiving end of something negative; the more productive thing to do is to pray and spend time meditating on God’s word instead of focusing on the errors of the individual in question or just giving up altogether. Even a deteriorating marriage where the husband has made up his mind to cheat can be salvaged and a total turn around achieved. Silverbird Cinemas, Lagos: Victoria Island, Ikeja, Festac; Port Hacourt, Uyo, SEC Abuja.